Anhydrosis, or the inability to sweat, is a serious condition that affects horses in hot and humid climates. 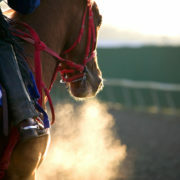 Horses rely heavily on sweating to cool themselves down and keep their core body temperature within a normal range. Sweat wets the horse’s skin and then as it evaporates it takes heat with it, effectively creating an evaporative cooling system for the horse. In some horses however, for reasons largely still unknown a horse’s sweat glands either partially or fully quit producing sweat. These horses find it very difficult to stay cool and need to resort to offloading heat via their lungs by breathing harder and faster than you would expect them to, which is why horses with this condition are often said to ‘have the puffs’. In many situations though, puffing is not effective enough, so horses that can’t sweat are at serious risk of hyperthermia which wreaks all sorts of havoc in the body and if not dealt with effectively will eventually result in death. It is likely some horses stop sweating simply because they run out of electrolytes. The major electrolytes found in sweat are sodium, chloride and potassium. The two most commonly deficient electrolytes in a horse’s diet are sodium and chloride and these are the components of ordinary old salt. 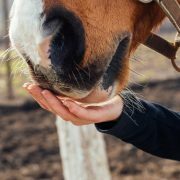 Use FeedXL to assess your horse’s requirement for the electrolyte minerals and use plain salt and/or an electrolyte supplement to meet requirements. Horse’s on forage based diets should be receiving lots of potassium from their forage so in most cases all you need to add is plain salt. A horse will seek salt out when it knows it needs it, so providing free access to loose rock salt allows them to eat as much or as little as they need to meet their requirements. In very hot and humid climates avoid the use of salt blocks as it is difficult for a horse to lick enough salt off to meet requirements when they need a lot of salt. Diets that are too high in protein have a couple of negative effects on horses that can’t sweat. The first is that protein generates a lot of heat during the process of digestion and metabolism which adds to the heat load a horse needs to get rid of to keep its body temperature normal. For most horses this is usually not an issue as they are able to sweat and easily dissipate the excess heat. But when a horse isn’t able to sweat, it just makes their job of staying cool even more difficult. The second is that when protein is fed in excess the horse needs to get rid of the excess nitrogen contained in the protein. 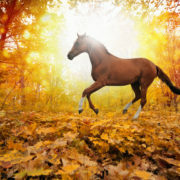 In a healthy horse the kidneys perform this task without hassle. BUT a lot of water and electrolyte are excreted with the nitrogen, so potentially it can lead to dehydration and electrolyte deficiency, neither of which will help a horse that can’t sweat properly in the first place. To keep protein in diets low, restrict the amount of forages and feeds that are high in protein like lucerne, copra meal, lupins, faba beans, sunflower/soybean/canola meals, pollard and rice bran and rely more on grassy pasture and hay, oils, low protein fibres like beet pulp and lower protein cooked cereal grains (where it is safe to do so). 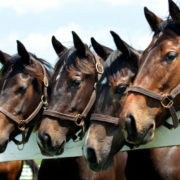 FeedXL.com will help you to keep track of the amount of protein in your horse’s diet. When the fibre contained in forages is fermented in the hindgut a lot of heat is produced which then increases the amount of heat a horse needs to get rid of to keep its body temperature normal. By reducing the amount of forage and therefore the amount of fibre in a diet you will reduce the heat load placed on a horse. To maintain the horse’s required energy intake you can add oil (the best option as it produces the least heat) and/or cooked grains to the diet. It is essential that you feed well-cooked grains, with extruded grains being the best option, as the starch contained within these grains will be digested in the small intestine. Feeding uncooked or poorly cooked grains will lead to a lot of fermentation and heat production in the hindgut and should be avoided for all horses in hot climates. Please note: Never reduce forage intake below 1 kg/100 kg of bodyweight and be mindful of the increased risk of stomach ulcers for horses on low forage diets. Using slow feeders is highly recommended. It is also essential to have your horse’s stomach full of forage before it is worked. There is some anecdotal evidence to suggest that some mineral and vitamin deficiencies may contribute to a horse’s inability to sweat. 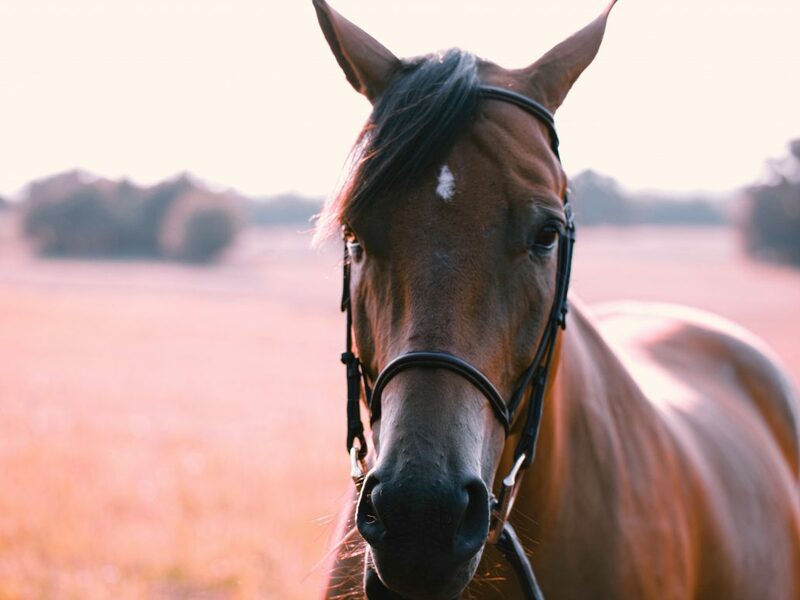 The best way to counteract this is to make sure what you are feeding is meeting all of your horse’s requirements for macro and trace-minerals and vitamins. FeedXL.comwill make sure you can achieve this! If you have a horse with anhydrosis it is strongly recommended you seek veterinary advice. Aggressive environmental management of these horses to keep them cool is the best way to manage their condition. 1. Always provide access to shade and cool to cold drinking water. 2. Keep them under fans and water misters where possible during the day. 3. Turn them out at night only if possible. 4. Only work them if your veterinarian advises it is safe to do so and then only work them during the very early morning when it is coolest and only to the level they can comfortably handle. 5. Cool them down quickly and effectively with hosing and fans post work until their rectal temperature has returned to normal. 6. 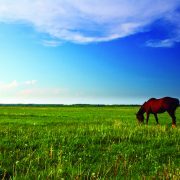 If these strategies aren’t effective in keeping your horse’s body temperature within a safe range, the horse will need to be moved to a cooler climate. Often, and again for reasons we don’t understand, horses will start to sweat again when they move to a cooler environment.